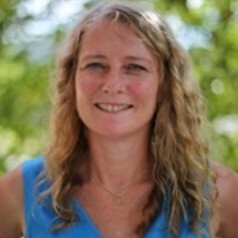 Dr Clare Heal is Professor (Promotional Chair) in the department of General Practice and Rural Medicine at James Cook University School of Medicine and Dentistry Rural Clinical School in Mackay, Queensland. Over the past ten years she has been principle investigator, or supervising co-investigator of seven successful practice based randomised controlled trials investigating the management of skin cancer surgery. The results of these trials have been published in high impact medical journals, such as the British Medical Journal. In 2016 her study comparing sterile to clean boxed gloves was named one of the top 20 top international studies for Primary Care Physicians.She was awarded the AAAGP award for best research in Primary Care in 2015, and the RACGP Peter Mudge Medal for best research in General Practice in 2016. She is principle author of a Cochrane review on topical antibiotic prophylaxis was published in November 2016. She continues to be active in clinical and academic general practice. She is chair of the RACGP National Research Committee. She currently supervises four honours students and two PhD students and has had 20 successful honours completions, and one PhD completion. She has published more than 60 peer reviewed journal articles. In addition to her research activities, she is chair of the Year five assessment and co-ordinator of general practice for James Cook University. She is a member of an expert exam item-writing panel for the Australian Medical Council and is co-chair of ACCLAIM, a national exam writing collaboration.